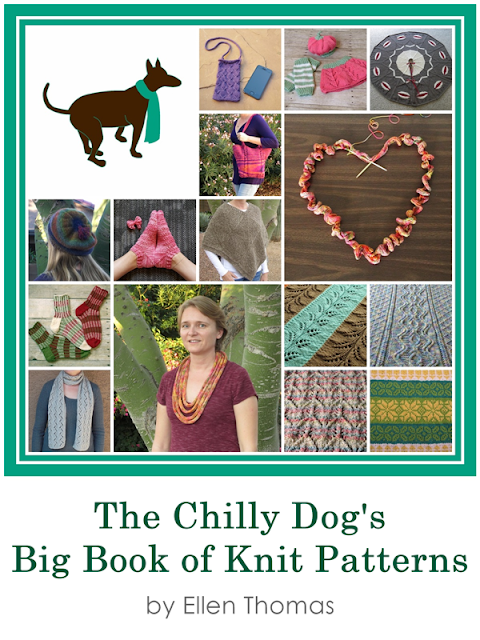 I am so excited to announce that The Chilly Dog's Big Book of Knit Patterns is finally available in my shop! I am releasing it as an ebook in PDF form. The book has my first 30 knit patterns and is 118 pages long. It is filled with scarves, socks, purses, afghans and more. Now I need a little help spreading the word. Help me share my big news for a chance to win your very own copy!